Jan. 14, 2019 - PRLog -- It is time to look forward to spring! For an early sight of the coming season, Entrance/Exit J of MTR Central Station is in full bloom with shades of pink and purple starting from today (15 January 2019) to 28 February 2019 with the latest "Art in MTR" exhibition entitled "Murmurs of the Flowers". 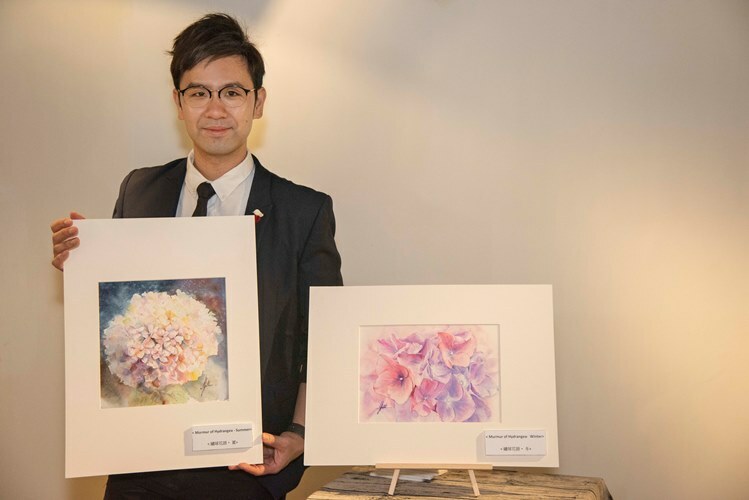 Featuring more than 30 watercolour paintings by local artist Mr Anthony Choy, the exhibition transforms the station into a tranquil garden with a variety of floral species including peonies, hydrangeas and camellias. "Flowers are the main subject of my drawings because I see different emotions in them. 'Murmurs of the Flowers' was inspired by the ancient Chinese poem 'On Loving the Lotus' from the Song Dynasty which says each type of flower represents a personality. Besides appreciating the beauty of flowers, I hope passengers would also find something that resonates with them in my work," said Mr Choy. "These paintings are romantic and lively, making them a perfect match for spring and Valentine's Day," said Ms Linda So, Corporate Affairs Director of MTR Corporation. "We hope this exhibition will help to refresh our customers amidst the hustle and bustle of the city and further enhance their travelling experience," she added. "Murmurs of the Flowers" is the latest exhibition for the "Art in MTR" programme under the Corporation's "Community Connect" platform. "Art in MTR" provides a platform for aspiring artists, designers and talented individuals in the creative industries to showcase their works to the community. The objective of this programme is to enhance passengers' travelling experience through easy access to different art elements including live performances, short-term art exhibitions and permanent displays of art pieces.